Aitheon intends to solve time-consuming, traditional back-end business process with AI and Robotics so the businesses can pursue their passion. **UPDATE - ICO raised 25.3M USD, the tokens will be processed in 2 weeks or so, no announcements on listings yet. 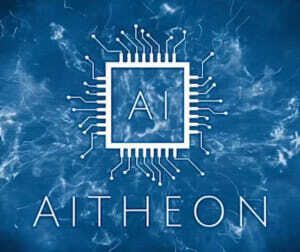 Aitheon intends to use AI and robotics to automate backend processes that are time-consuming for businesses on a single, simple platform. Aitheon’s Miners will be “Specialists/Pilots” on computers to assist the robotics with tasks that they encounter. Depending on difficulty of tasks will reward the Miners with tokens for completing the task. Specialist for example will overlook papers that can’t be interpreted or a phone call with a heavy accent that may be hard to understand. Pilots, for example, would assist in parking auto driving vehicles. These are few of the many tasks that will be allowed by specialists and pilots with the training. They also have a Creators program that enables creators worldwide to use the system to help develop new robotics and AI with assistance.